Raise a Green Dog! : Keeping it clean, this Spring! Keeping it clean, this Spring! It's Spring here where we live, and it's a great time to get outside and have some fun! Sometimes all that doggie fun, means mud, dirt and other yucky stuff gets tracked inside the house. I admit I'm guilty. I love running in the rain, digging in the dirt, and rolling in yucky stuff. So what's a dog lover to do? How can you keep your house clean and still let your pup have his fun in the great outdoors? 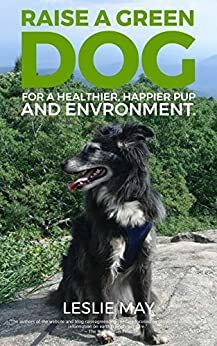 And how can you do it safely, for you, your pup and the environment? We've got some ideas we'd like to share. And feel free to post some of your own and share away! Idea #1 - My Mum keeps old torn up towels at the back door at all times. There are some towels we can walk on to soak up the unwanted wet, mud and mulch. And some of those towels she'll use to quickly wipe us down if we're really yucky. Idea #2 - We heard that Martha Stewart keeps a pan of water and towels at her back door, so when her pups come in from outside she can quickly clean up their paws. Idea #3 - Keep the fur between your pup's paw pads trimmed and they will attract less dirt to bring into the house. Idea #4 - Some very innovative folks have come up with some cool new products that help clean up your pups after some fun romping outside. One is the Paw Plunger. We've never tried it, and being the sensitive paw pup that I am, I'm not sure I would like this, but Gracie would probably go for it just fine! Idea #5 - No matter how hard you try, you're still going to get dirt from your pups inside your house, on your carpet, and on your hard flooring materials. Here's what we do to keep it as clean as possible. We vacuum often, with our Dyson. Often after mud dries on your carpet it can just be vacuumed up, and it's great for getting those little pieces of mulch up, and of course all the fur. We use environmentally and pup safe products to clean our hard floors and carpet. Mum has a steam cleaning machine that she uses with an all natural, safe cleaner from Earth Friendly. It works great for spot cleaning and for an overall, twice a year cleaning. She just puts up the pet gates until the carpet dries and makes sure she does it on a very low humidity day. We would never use traditional carpet cleaning services, or some of the strong, chemical laden carpet cleaners in our home - they just aren't safe for us, the kitties or our humans. You can read a little about the dangers of chemical cleaners here, courtesy of ABCNews.com. Cropping up all over the country are green carpet cleaning services that are a wonderful idea if you need some extra help to tackle a big job. And for the hard flooring in our home, we use an all purpose cleaner from Mrs. Meyers, because it smells so good! Idea #6 - There are some great recipes for homemade and safe cleaning solutions for your carpet. Here's one we found recently: Mix 1/3 cup vinegar with 2/3 cup warm water and apply to the stain. Then blot with a clean white towel and repeat until the stain comes clean. We think it's always best to start with nice cool water first and see if that cleans up the stain. If not, then we move on to a natural cleaning solution. Idea #7 - You can also use a vinegar and water solution to clean just about everything in your home - your hard floors, counters, and more. So those are our ideas for keeping your carpet and floors clean. What ideas do you have to share? I love these natural ideas! I have two dogs and lots of mud coming in! Feels like I am forever cleaning!Thanks for the vinegar tip. We really LOVE your blog! So much good info you share. My lady hasnt used any floor cleaners since she got me! She uses soap and water to keep the floors clean, but I must admit, I am a very clean JRT! I think this new blog and will blog about it today at mollitudes! I like to take baking soda and add a few drops of lavender and rosemary oil... then shake it all over my rugs (and the dogs futons) and then vacuum it up! the Lavender and Rosemary will help disinfect and makes the whole room (and the vacuum cleaner bag) smell good! Make your home hazard free and will get cavities and periodontal disease if their teeth are not taken care of.